An event that started as a complete failure was one of the significant events starting WW I, the assassination of Austrian Archduke Franz Ferdinand. Visiting the Bosnian capital, Sarajevo, a group of six assassins from a nationalist group, gathered on a street where the Archdukes visiting motorcade would pass. One of the members of the group threw a grenade at the car, but missed. It injured some people nearby, but Franz Ferdinand’s convoy was able to carry on. The convoy was supposed to be stopped. The other assassins failed to act as the cars drove past. Franz Ferdinand spontaneously went to the hospital to visit some of the injured. When returning from the visit, about an hour later, the convoy took a wrong turn into a street and the car, a convertible, stalled. By an act of pure by coincidence, Princip, one of the intended assassins, had just walked out of a café where he had been lamenting their failed attempt. He walked out, looked up, and there was Franz Ferdinand in a stalled car. Princip pulled out his pistol, shot and killed Franz Ferdinand. Crazy, eh? It’s a story only Jeff Goldblum could retell with the appropriate artistry. WW I leads to WW II, the end of WW II leads to the start of the cold war. Thus begins NATO. On we go. The original twelve members of NATO in 1949 were the United States, the United Kingdom, Canada, France, Denmark, Iceland, Italy, Norway, Portugal, Belgium, Netherlands, and Luxembourg. In 1952, Greece and Turkey joined. West Germany was admitted in 1955 and in 1982 Spain became the sixteenth member. 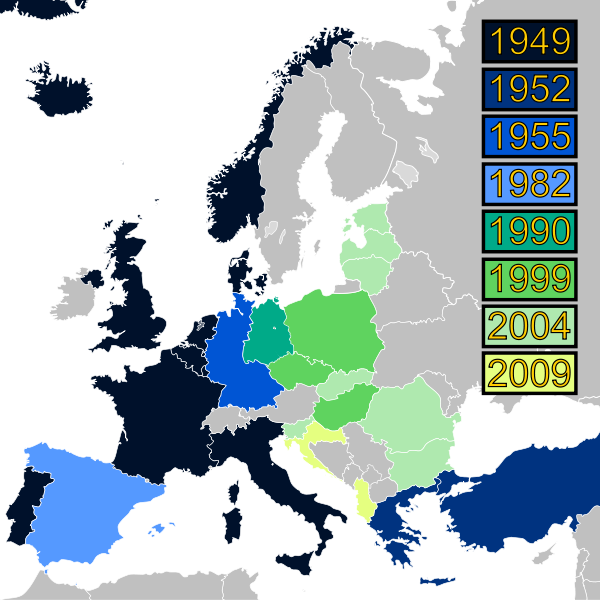 On March 12, 1999, three new countries – the Czech Republic, Hungary, and Poland – brought the total number of NATO members to 19. On April 2, 2004, seven new countries joined the alliance. These countries are Bulgaria, Estonia, Latvia, Lithuania, Romania, Slovakia, and Slovenia. The two newest countries that joined as NATO members on April 1, 2009 are Albania and Croatia. It is often said that the North Atlantic Treaty Organization was founded in response to the threat posed by the Soviet Union. This is only partially true. In fact, the Alliance’s creation was part of a broader effort to serve three purposes: deterring Soviet expansionism, forbidding the revival of nationalist militarism in Europe through a strong North American presence on the continent, and encouraging European political integration. Do you know what article 5 of NATO is? Here it is. Article 5 is at the basis of a fundamental principle of the North Atlantic Treaty Organisation. It provides that if a NATO Ally is the victim of an armed attack, each and every other member of the Alliance will consider this act of violence as an armed attack against all members and will take the actions it deems necessary to assist the Ally attacked. This is the principle of collective defence. So, here’s a question. If NATO was created as a result of the events after WWII, when the cold war ended, why didn’t NATO dissolve? You read the three reasons for the creation, and according to those, NATO would no longer be necessary. So….we’ve surrounded Russia by encouraging and allowing former Soviet satellites (uh, except for the Ukraine, right) into NATO. Everything’s peaceful. The cold war’s over. Just terrorists to worry about. Then they invade the Ukraine. So, for Latvia, Estonia, Albania, et al., we’ve made a commitment to these people. How sure are we Russia won’t eventually invade these or other surrounding countries? I would formulate that no one can be sure of anything at this point. 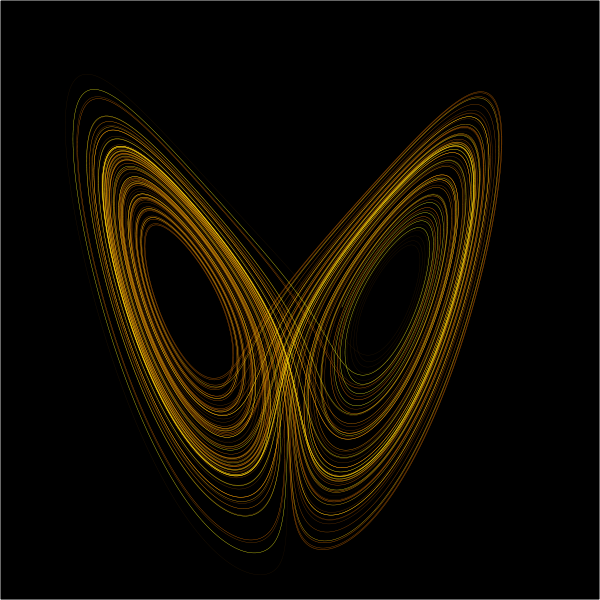 This entry was posted in Social Issues and tagged Chaos theory, Crimea, Estonia, Lativia, NATO, Ukraine.